This jumbo print tee is part of our ongoing collaboration with Monster Energy®. 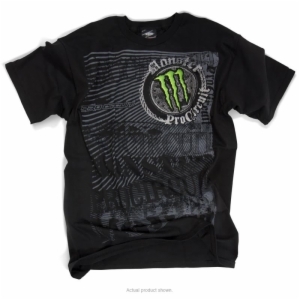 The Rock Steady Tee brings a design worthy of fitting in with Monster's action sports, punk rock lifestyle. A 100% cotton shirt that features quality inks including metallic silver to help give the design more pop!